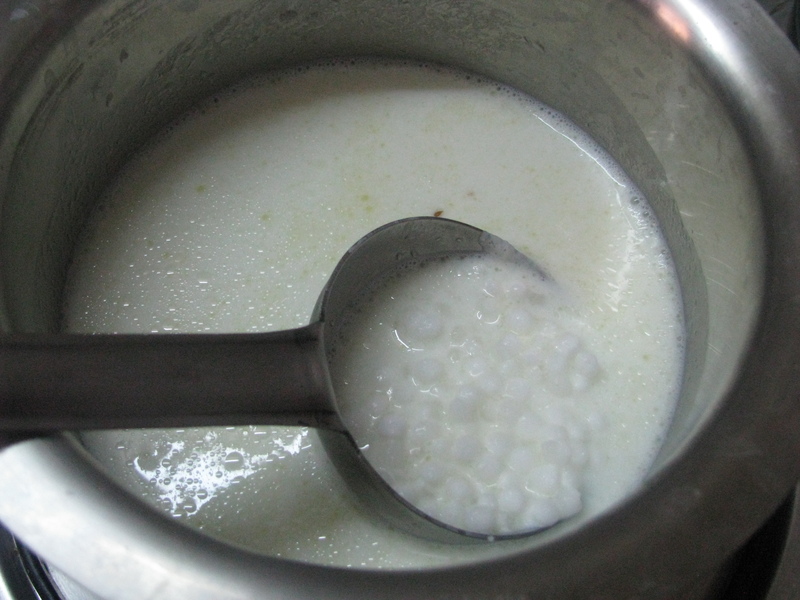 Sabudana is also called as sago or tapioca pearl. 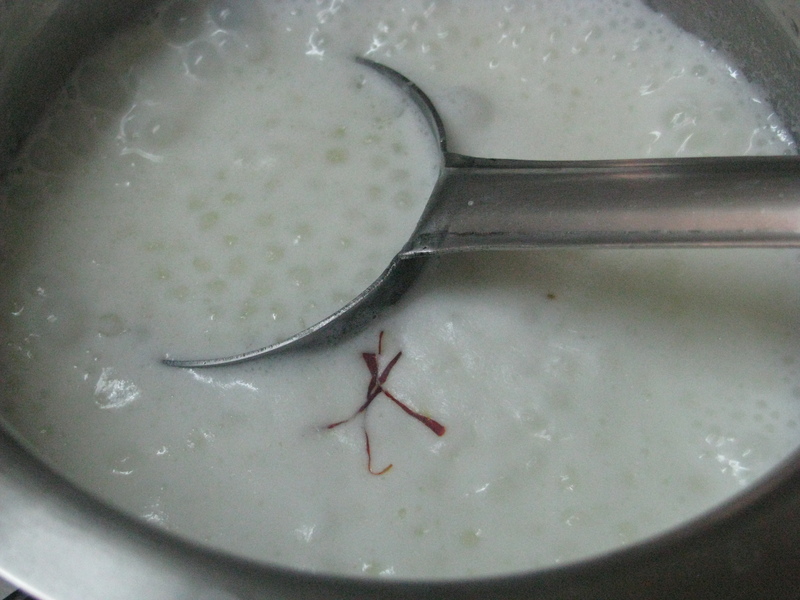 Sabudana kheer is a sweet pudding. 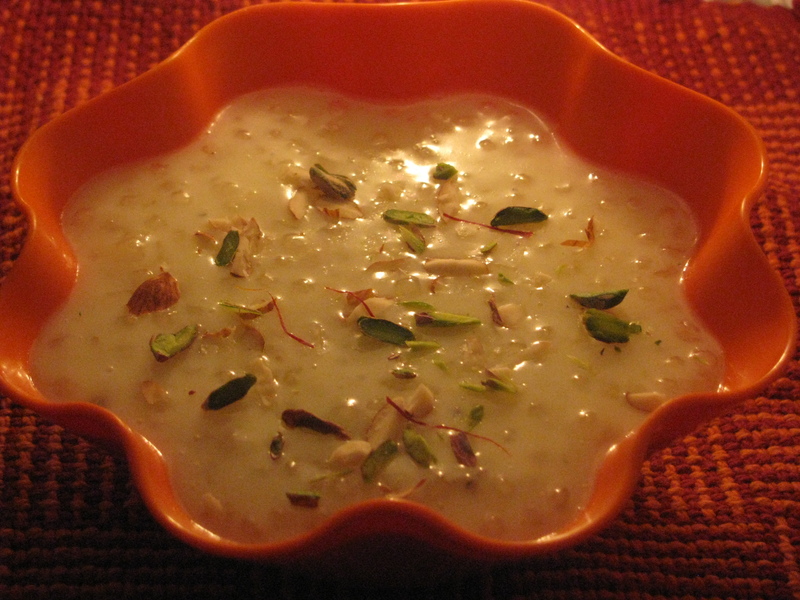 This yummy eggless tapioca pudding is prepared on navratri fast or any fast/vrath as a sweet dish. 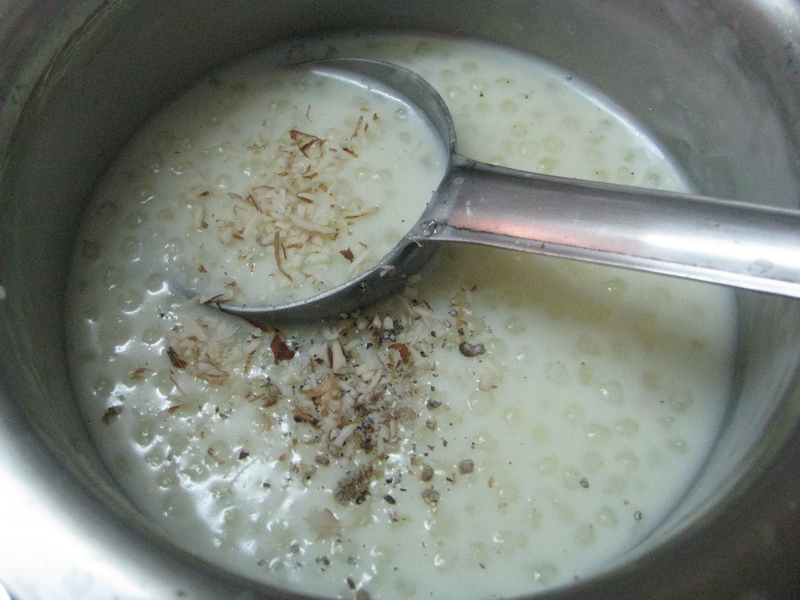 This soft sweetened sabudana(sago / tapioca) is very easy to make and takes very little time to cook. If you’re on diet or diabetic you can make this dessert by adding skimmed milk and sugar free natura. 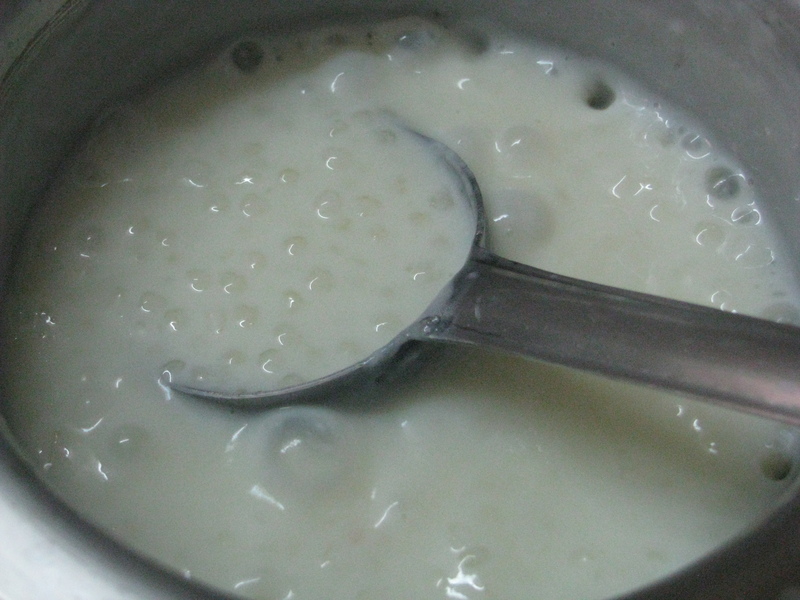 Sabudana kheer is also called as sago payasam in southern parts of India. Wash and soak sabhudana (tapioca /sago pearls)in ½ cup of water for 3-4 hours (if you’re using small sabudana pearls (instant sabudana)it will take 15-20 minutes to get soaked. You can add saffron , cardamom or nutmeg powder to give nice flavor to this tapioca pudding . 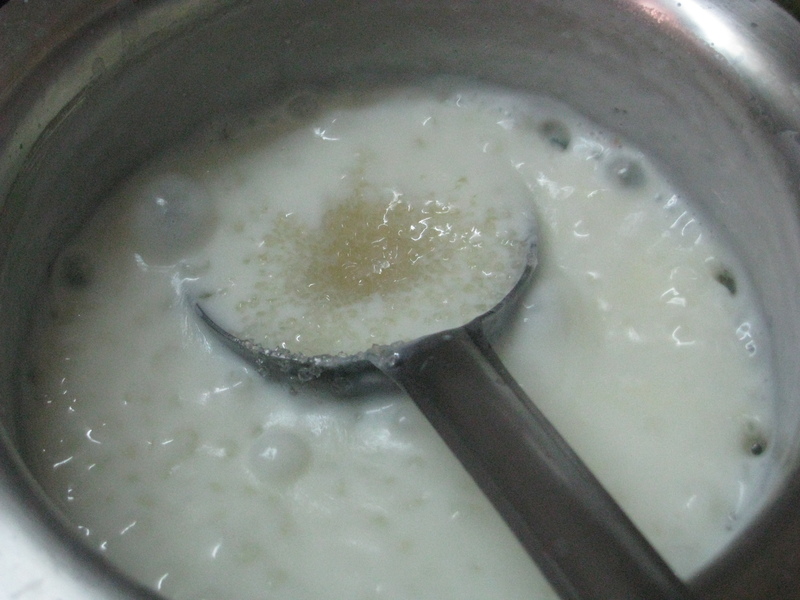 Stir this kheer/pudding continuously while cooking. Don’t add sugar before the sago particle is cooked it will make your sago particles little hard to chew. Also check vrath ki multiflour roti , sabudana khichadi in microwave ,vrath (fast)recipes .